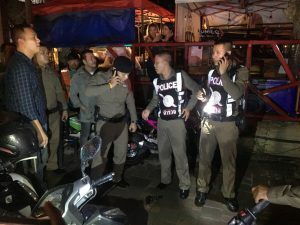 AROUND 200 panicked tourists gathered outside a bar in Pattaya after a policeman and a local Mafia boss both got injured in a firefight last night (Sept 15, 2018) with the latter being in critical condition, INN News reported this afternoon. 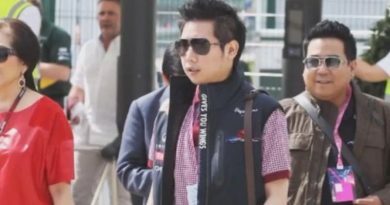 Pol Col Apichai Krubpetch, head of Pattaya station, and other senior police officers rushed to the bar next to Pattaya 3 road where they found Mr Somchai Saechua, 49, or Hea Khai Wat Pho, a Mafia boss in Naklua area, shot once each in the right temple, right arm, right leg and also a few times in the stomach. Rescuers had to give him cardiopulmonary resuscitation (CPR) before rushing him to hospital. 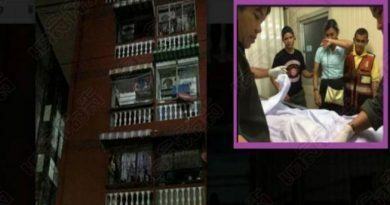 Meanwhile Pol Sgt Maj Pawares Banchong, 31, a rescue squad leader at Pattaya police station, was shot once in the right arm and was also sent to the hospital. Tourists told police that the injured man had engaged in a fierce quarrel with a woman at the bar, and then went and shook the table when policemen were celebrating a birthday. 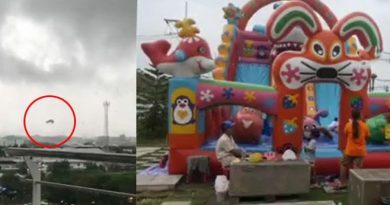 This led to a punch-up after which many shots were fired, they said, adding that the policemen had climbed on to the table and then fired at the badly injured man, who ran out before collapsing on the ground. Meanwhile Pol L/C Naretrak Kruavara, 30, from central Prachinburi province’s Wat Khon Daeng police station, surrendered and handed over Pol Sgt Maj Pawares’ pistol which he had used to fire at the Mafia boss. 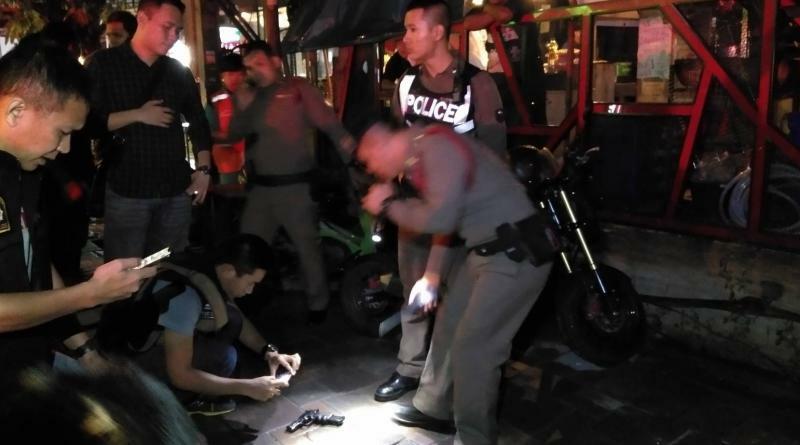 According Pol L/C Naretrak he had fired in self defense after Pol Sgt Maj Pawares was shot at by Somchai upon stepping in to stop the heated quarrel between him and the woman at the bar.